Although he would ultimately like to work internationally doing deep-water salvage work, he’s very happy right now to be starting out working offshore in the Gulf of Mexico. It’s the fulfillment of a career goal he set for himself when he was a Running Start student at Peninsula College. Even then, he knew exactly what he wanted to do―welding. McCartney has always liked working with his hands and building things, so welding was a natural choice. After all, he says with a smile, “Who doesn't want to use tons of electricity and fire and occasionally blow stuff up and make a good living doing so”? By his senior year in high school, McCartney had enough credits to graduate so he looked into the possibility of taking welding courses full-time. “I looked into other college welding programs, and Peninsula College seemed like the best fit for me. The instructors are awesome, and they will teach you everything you want to know and then some,” McCartney says. As he took more and more welding courses, McCartney found himself really getting hooked on the whole idea of welding as a career, especially when he saw the doors that would be open to him with a degree. With that in mind, he completed his Associate of Applied Science and several AWS welding certificates, graduating from Peninsula College in June 2012. 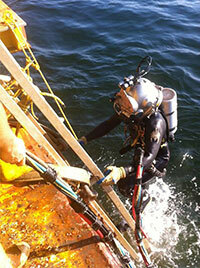 It was at that point that he began to look at the possibility of becoming an underwater welder. DIT is currently one of only two programs in the United States to offer International Certification and the first to offer it in this country. 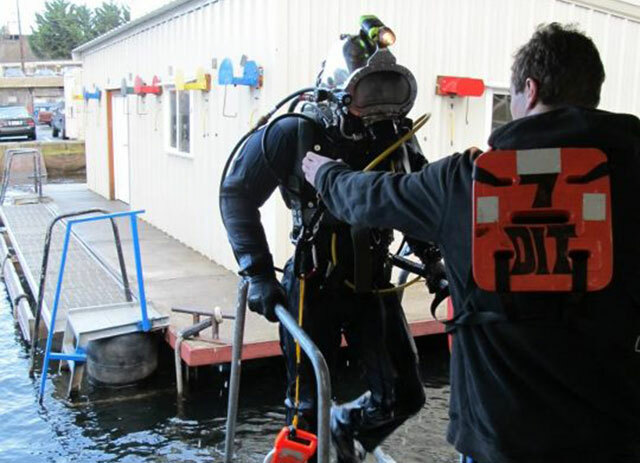 The certification is awarded and administered by the Divers Certification Board of Canada (DCBC) under the guidance of the Canadian Standards Authority (CSA), and allows DIT graduates to work globally. The intense training paid off. When McCartney graduated from DIT on March 7, he immediately had four job offers from salvage and underwater welding companies in the Seattle area as well as a bit further afield, but it was the Gulf that drew him. 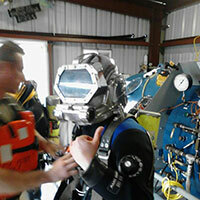 Following a telephone interview with Bisso Marine, one of the biggest underwater salvage companies in the Gulf area, he was invited for a face-to-face interview and the rest, as they say, is history. McCartney has some advice for others who are interested in a career in welding. Get to know what you are getting into, he says. “Talk to people that have been doing it for a while, and make sure it’s a good fit for you. Welding is a great skill, but being a ‘welder’ doesn't mean that's all you do. You have to be flexible. Welding is sort of like diving in the sense that a ‘welder's’ job is typically 90% preparation and set up and 10% welding. The more feathers in your hat the better off you are.” And by feathers, he means training.